Technology design in healthcare has been largely motivated by two huge trends: "Big IT" (EMR and integrated healthcare infrastructures) and Health 2.0, the innovation of small startups and mobile apps. These movements are inspiring technology investment, startup growth, open data projects, and changes in policy. In this webcast, Peter Jones, author of the 2013 Rosenfeld book Design for Care: Innovating Healthcare Experience, will discuss using technology to help design new care delivery systems that address some of the other major issues in healthcare: cost containment, patient demographics, and changing business models. Peter is associate professor at Toronto's OCAD University, where he is a senior fellow of the Strategic Innovation Lab and teaches in the Strategic Foresight and Innovation MDes program. He completed his doctorate in design and innovation management at The Union Institute and holds a Master's in Human Factors Psychology at University of Dayton. Design for Care: Innovating Healthcare Experience is his third book. Peter also published We Tried to Warn You (Nimble Books, 2008) and Team Design (McGraw-Hill, revised in 2002). He has authored numerous research articles and whitepapers, available online at Design Dialogues. 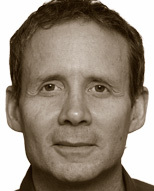 Peter founded the innovation research firm Redesign Research in 2001, now located in Toronto. Redesign conducts design research to mobilize strategic and service innovations to advance collaborative and knowledge practices in organizations, professional practice, and service systems. Peter has designed market-leading information services in healthcare, scientific, and legal practice, and advises product development and care providing organizations on use experience and service design and innovation strategy. Peter blogs at Design Dialogues when he has a moment, and shares on Twitter as @designforcare. 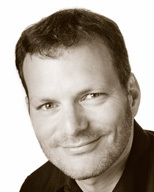 Lou Rosenfeld is founder of Rosenfeld Media, a leading source of user experience books and expertise. He is an author of the best-selling Information Architecture for the World Wide Web (O'Reilly; 3rd edition 2006) and Search Analytics for Your Site (Rosenfeld Media, 2011), co-founder of the annual Information Architecture Summit and the Information Architecture Institute, and a former columnist for Internet World, CIO, and Web Review magazines. As a consultant, he's helped AT&T, Ford, PayPal, Caterpillar, and many other large, highly-political organizations grapple with their information headaches. © 2019, O’Reilly Media, Inc.